I post this every year, but for the sake of festivity and continuity, I shall once more. 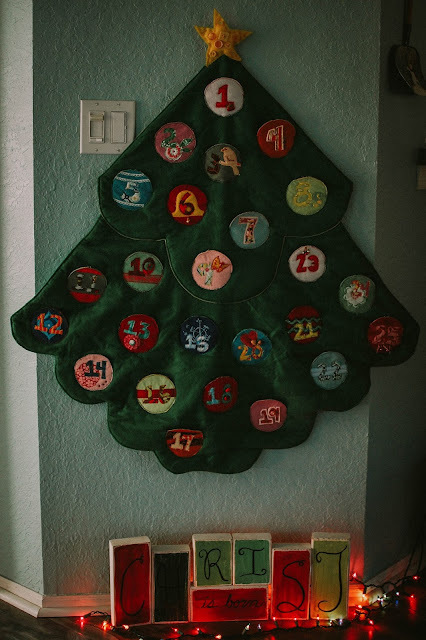 This is a felt advent Christmas tree I made several years ago that the girls and I use to count down to Christmas. The ornaments are wee pockets that hold either a slip of paper with an activity on it or a tiny gift. Some of these we have already done. This morning the girls opened a sweet little gift Deb sent them, Pokemon and Shopkins <3 They loved it! The Pokemon had a Flametalon Break card in it and the Shopkins were cute little handsoaps and lotions. Thank you Deb! They loved them. I also wrapped up all their Christmas books and placed them under the coffee table and each night they pick one and unwrap it, and take turns reading it out loud with me. They love this new tradition. Do you have any holidays traditions that have commenced? Any fun activities you grew up doing that I should add to the tree this year or next? I have a couple free days open during the break before Christmas. We don't have too many traditions left. One of them used to be that I'd always watch Christmas Vacation while decorating the tree, but this year I didn't. It used to be tradition that the presents weren't under the tree until Santa came during the night (when I got up early and did it), but last year everyone just sort of plunked their stuff under the tree before. When I was a kid it was super exciting to us just to get the tree set up, and to make Christmas cookies. We had a big family and little money so just those simple things were awesome fun to us. Savanna keeps talking about how she never pulls anything good in Steam Siege and now she did with the pack you gave her. I need to watch Christmas Vacation. Great movie. The presents thing would make me a little sad. 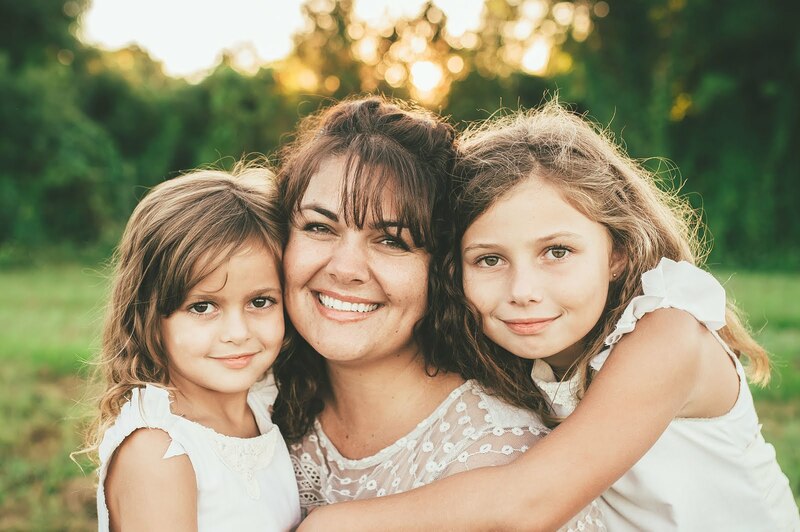 I know it is bound to happen once the girls are grown. Setting the tree up is exciting. And cookies. Those will be fun to do with them. The simple things are often the most enjoyable for sure. Thank you for reminding me of that. Also, I'm going to direct this query here - sorry for jacking your comment thread. But I've been checking out Solstice Scents' goodies because I'm going to be placing a little order, and I wondered if you had any experience with their tobacco scents. I'm looking for something that smells like my grandfather's pipe tobacco (I always gave him a pouch or two at Christmas, and I loved shoving my face in bag and just BREATHING.) You know, that raw (?) sort of tobacco scent? Are you interested in any of their winter collection scents? That peppermint mallow one sounds fabulous. In THE bag. Aargh, grammar. Hijack away my love! Fragrance always takes precedence. Solstice Scents is phenomenal. And I do like Snowshoe Pass a lot. One of my favorite raw tobacco smelling scents she carries is Gibbon's Boarding School. But definitely sample her Vanilla Pipe Tobacco too!! I want to order so bad but I need to be good. I may fail. Please tell me if you order!! Also. Please sample Sonoma Scent Studio Tabac Aurea if you can. If she doesn't ship to Canada tell me and I will mail you some. Seriously an incredible tobacco.